Tree diversity in forests, on farms and in agricultural production landscapes – the cornerstone of resilience and a key contributor to rural safety nets in those landscapes – is threatened. 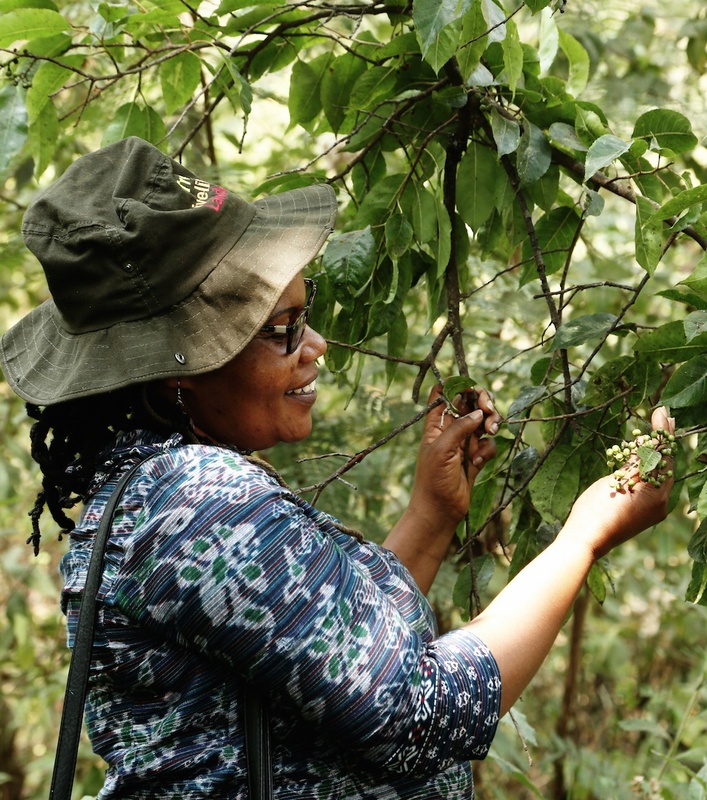 Ex situ conservation of threatened tree diversity, particularly for species with a current or potential use in agroforestry systems, is one solution to secure germplasm for current and future use. Trees differ from crops so the standard model used for the management and ex situ conservation of genetic resources of food crops only partially apply. The large number of genera, long generation intervals, large growth forms, generally outbreeding reproductive systems and species-specific regeneration requirements of agroforestry trees require a complex and more flexible system for the management and conservation of genetic resources. Decentralized and complementary conservation methods are required, including seed genebanks, live ex situ field genebanks, conservation circa situ (in farmland around natural forest where species are or were once found) and in situ. Although seed storage is an attractive conservation method for orthodox-seeded trees, a significant limitation is the need to regenerate stored samples periodically. This is expensive and difficult, especially if a representative range of populations is to be maintained rather than just one or a few stands of each species. Undertaking regeneration with growers that obtain some benefits from planting is a way of reducing land and maintenance charges that are the major costs in the process. For economically important trees with recalcitrant seed and/or that are propagated clonally to maintain genetic integrity, costly maintenance may make field genebanks financially unviable. In order to improve the efficiency of management of woody species, live stands are often used for multiple purposes. A stand may function as a field genebank, evaluation block and source of seed or vegetative material for further planting, provided that genetic diversity, genetic integrity and survival are assured through minimum numbers of individuals and appropriate management practices. Combining conservation with domestication efforts and linking conservation to the supply of seed for sustainable use are appropriate ways to maximize the benefits from ex situ genebanks of agroforestry trees. 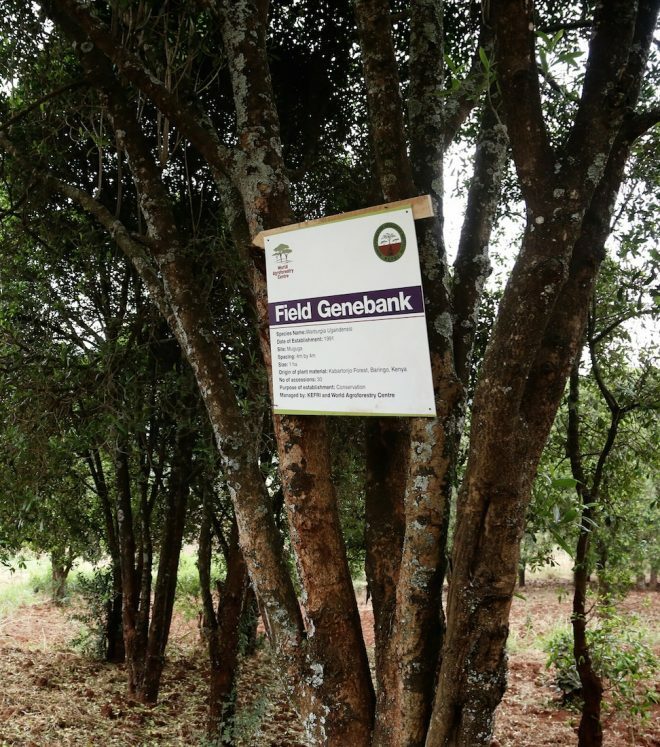 The World Agroforestry Center (ICRAF) maintains a seed genebank at its headquarters in Nairobi, Kenya that conserves a wide diversity of tree species used in agroforestry systems to ensure their long-term availability. The genebank currently holds 5,393 accessions representing about 190 tree species used in agroforestry systems. This collection was acquired through donations from various institutes such as Oxford Forestry Institute, and germplasm collection missions conducted jointly with national agricultural research systems (NARS), universities and international institutes in species natural distribution range. The genebank has a laboratory for conducting seed research, a short-term holding facility for drying maintained at 15°C and 40–45% RH, and medium-term storage at 4°C and 40–45% RH that holds the active collection. For long-term conservation and safety duplication, ICRAF partners with the Millennium Seed Bank at Kew in the United Kingdom, and the Kunming Institute of Botany genebank in China. The ICRAF genebank also has over 700 accessions representing 165 tree species held at the Svalbard Global Seed Vault in Norway.